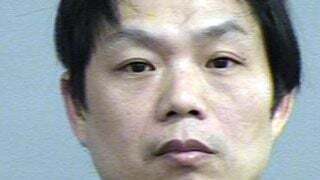 LOUISVILLE, Ky. (WDRB) -- Louisville Metro Police say they arrested a Chinese restaurant owner whose employees were victims of human trafficking. Wednesday night, police arrested Golden Palace Buffet owner Ming Chen after executing a search warrant on the Outer Loop restaurant and a home on Churchdown Lane. Police say the owners of the restaurant were illegally using men and women as workers to staff the establishment. According to the arrest report, the victims were working 12-hour shifts, six days a week with "little or no breaks, and limited freedoms." "Yeah, that's real shocking to me," said Gloria West, who is a regular customer at the Golden Palace Buffet on the Outer Loop. "We come about once every two or three months with my father in-law," West said. "I've never seen anybody in there that didn't act like they didn't want to be there." But LMPD Sgt. Andre Bottoms says a year-long investigation showed some employees were not properly compensated. "We found in our investigation that some of the females that were working as waitresses were working for tips only and most of the time they didn't get to keep their tips," Sgt. Bottoms said. "Some of the victims didn't even know what city they were in," he added. The owners of the restaurant were allegedly keeping the employees in the basement of the Churchdown Lane residence and taking them to and from the restaurant in a van with wooden benches. "And the actual basement door from the inside of the house was blocked off -- they had no access to come out or into the actual home," Sgt. Bottoms added. Although police won't detail how many alleged victims there are, Sgt. Bottoms did provide a clue. "So the basement was set up to where they had these little tiny rooms. There was, I'd say, approximately ten little rooms in this basement. They was real small rooms, some of them, more than one person slept in the rooms." The 42-year-old restaurant owner is charged human trafficking. Chen's wife was also charged with human trafficking, but she was allowed to stay with her children. A family member, who wants to remain anonymous, denies the charges and says the alleged victims are from New York and are long-time employees.